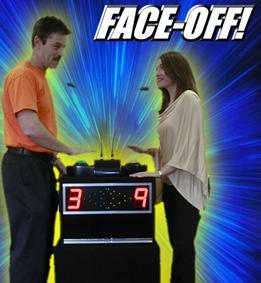 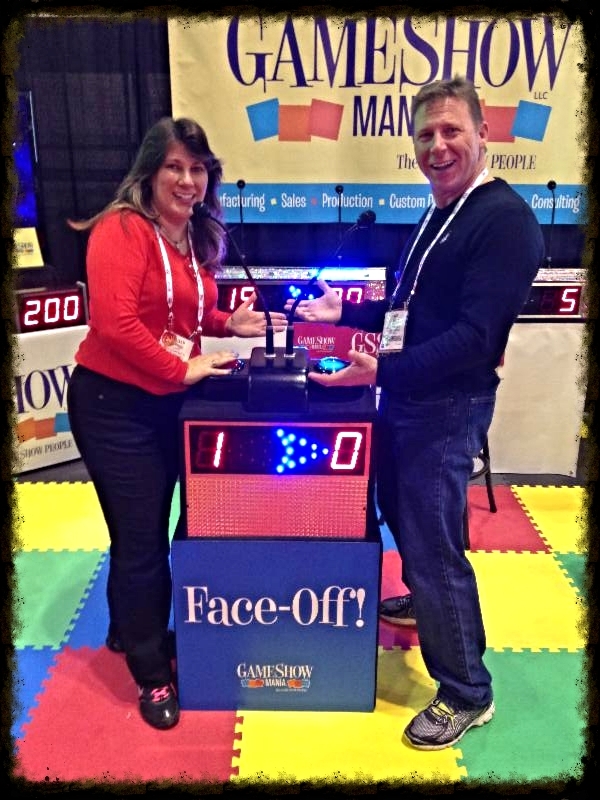 FACE-OFF TRIVIA Play audience friendly face-off games like they do on the TV Game Shows. 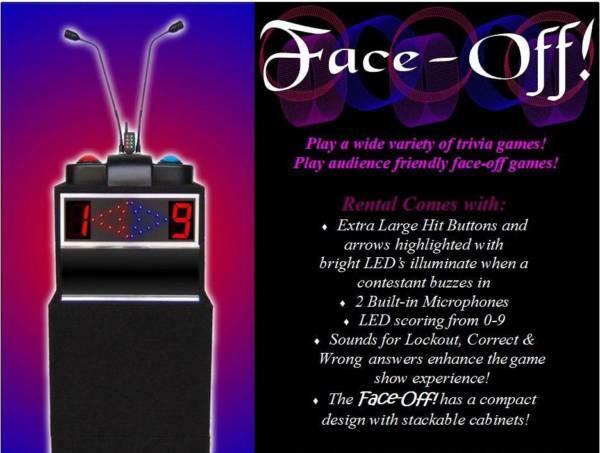 Challenge your family, friends, or co-workers to this Family Feud style buzz-in trivia game. LED scoreboard keeps score and the first to buzz in illuminates their team’s light and locks the other team out. 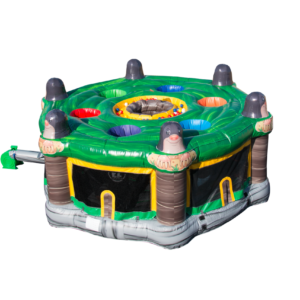 Can be connected to in-house sound system so the MC can use the microphone and broadcast to a large crowd. 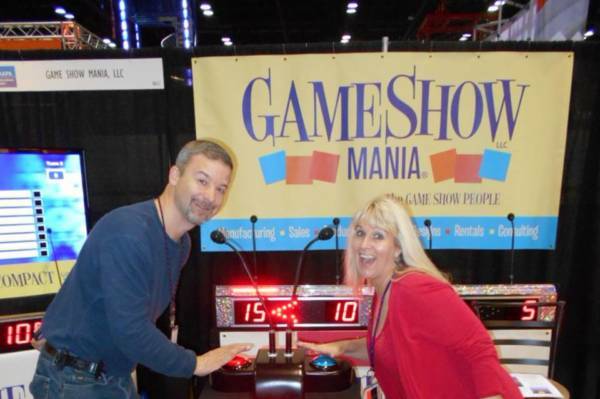 Comes with 4 books of trivia including Biblical Trivia for your church event. 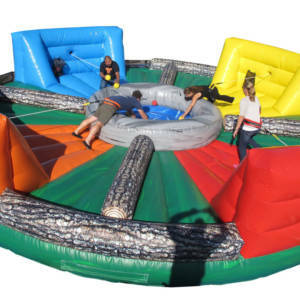 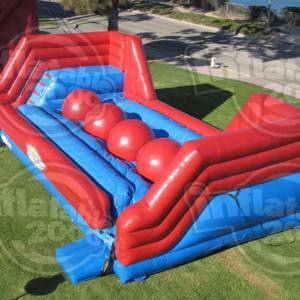 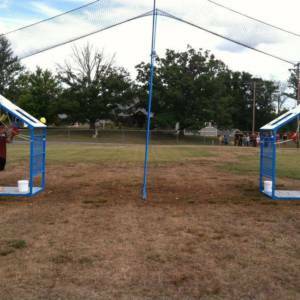 Great for lock-ins, school parties, corporate events, family reunions, church groups, etc.